To Alemán, the retirement of Cuba’s 85-year-old president, who took over for his ailing brother in 2006, is not a signal of possibility, but of superficial change. The malaise afflicting Cuba cannot be traced to a single source: the government faces a series of challenges from within and without. The longstanding U.S. embargo and travel restrictions tightened last year by President Trump compound problems endemic to the jury-rigged economy and one-party government. For years, the hardships of daily living for many Cubans have defied the egalitarian ambitions of the country’s socialist revolution, 59 years in the making. 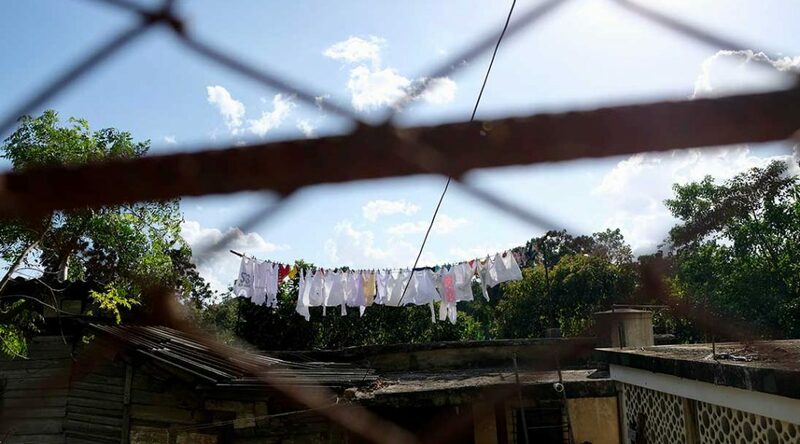 Cubans who struggle to make ends meet point to inconsistencies in the country’s economic model and its mix of tourism-driven capitalism and state control. Restricted access to internet and state-controlled media obstruct global connectivity and fuel frustration, especially among the segment of the population that should feel most hopeful. Young people “feel like they are a bird in a cage,” said Josh Trujillo, 24, who is studying to become an English teacher at Havana’s University of Political Sciences. To fill vacancies left by teacher shortages, the Cuban government drafted Trujillo and his classmates to serve as substitutes at elementary schools throughout Havana. For this work, Trujillo is paid the equivalent of $8 per month. Nominal pay “is just part of the deal” in Cuba, he said. After he completes his degree, Trujillo would like to leave Cuba and travel abroad. “It’s a dream. It’s an aspiration that everyone wants to go somewhere else.” he said, but the opportunities are constrained by lingering travel restrictions and the high cost of exit visas and transportation. In Cuba they call it the inverted pyramid: a system where the most educated and highest skilled are the poorest paid. Teachers, doctors, engineers – all government-paid jobs – now have their salaries dwarfed by those in the private sector, including tour guides, bartenders and cab drivers. This socioeconomic structure has propelled and revealed growing economic inequality, marking the dysfunction that afflicts contemporary Cuba. “Doctors make around 27 CUC (approximately $27) per month. You can make double that serving in one day,” said Daniel Lana, an actor educated at Cuba’s venerated National Arts Schools. Though Lana earns a government salary performing in theater, he supplements his income as a waiter at Havana’s Paladar Vistamar. Perched above the ocean and frequented by tourists, the price of a basic entrée at the restaurant – a plate of fish, a bowl of pasta – would eclipse most Cubans’ weekly salary. Such disorder is leaving cracks in Cuba’s flattened society, an unravelling tied to the steady emergence of private enterprise. In 2010, unable to afford the salaries of 5 million state employees – more than 85 percent of the Cuban labor force – authorities slashed public employment by 1 million jobs. To compensate for the massive job loss, the government expanded the number of occupations eligible for self-employment from 157 to 178, later raising the number to 201. The reforms represented a dramatic expansion of policy changes launched in the 1990s and followed fitfully as the country’s economic fortunes rose and dipped. Following the 1991 breakup of the Soviet Union and, with it, $8 billion in annual patronage, Fidel Castro opened the island to tourism and allowed for a limited number of private businesses. This change sparked almost immediate disparity, a lingering division between those with access to “hard” currency – a convertible peso (CUC) pegged to the U.S. dollar, accessible through private enterprise – and those without, left to the national peso (CUP). The story of Leslie Alemán’s father, Kiki, mirrors the patchwork reconstruction of Cuba’s private sector. Born in 1964 to a family of fishermen, the senior Alemán earned a university degree, inconceivable during the Batista regime and free of charge in Castro’s Cuba and. His education led to a job as a mechanical engineer, and later a university professor. As a professor, his salary was so modest that he relied on his fishing skills to support his family. But Kiki, 53, has recently joined nearly 600,000 Cubans who have abandoned government-paid jobs for work in the private sector. He now operates a private business from home, where rooms are available for vacation rentals. In doing so, he has traded his state salary – around $30 a month – for a sizable pay raise. Money from his room rentals pays for milk, butter and cheese – entirely ordinary for middle-class households throughout the world, though out of reach of most Cubans. 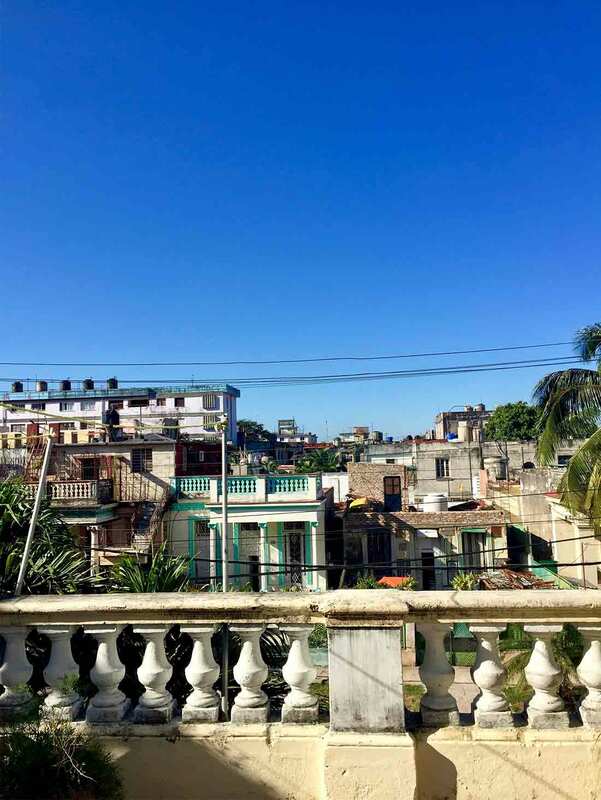 Divergent opinions within the Alemán family echo a generational divide that seems to shape satisfaction with current social and economic conditions in Cuba. This gap is deepened based on memory – or its absence – of the so-called “special period,” the roughly five-year period following the Soviet collapse. Without the vital support of the U.S.S.R., Cuba plunged into a period marked by extreme scarcity. The Special Period “was about survival,” said Dr. Daybel Pañellas Alvarez, a social psychology professor at the University of Havana. Cubans faced shortages of basic food staples such as chicken, rice, milk and eggs as well as cooking gas, kerosene and other fuel. “Nothing. There was nothing,” said Kiki Alemán. Born in 1992, Leslie has no memory of this past desperation, while her mother still remembers cooking over a wood fire, her nails dyed black from the smoke. But for her father, present conditions – though strained – bear clear improvements upon the past, namely the assurance of healthcare and education. In contrast to her father, Leslie’s living memory reflects a life of relative comfort. She was raised to expect the goods her father treasures – healthcare and education – as a birthright, and she is not alone. Assured by these basics, young people are seeking more, said Kiki. But this push for more, for better, seems largely disconnected from aspirations for political change. After 60 years of Castros, it seems that Cuba’s politics are met by some with a sense of resignation. “It’s not possible to get to that point,” said Trujillo, of meaningful political change. Even as Raúl Castro’s retirement nears, a general acceptance reigns towards Cuba’s political landscape. “It matters” that Raúl will no longer be president, actor Daniel Lana said, but not enough to make a palpable difference.